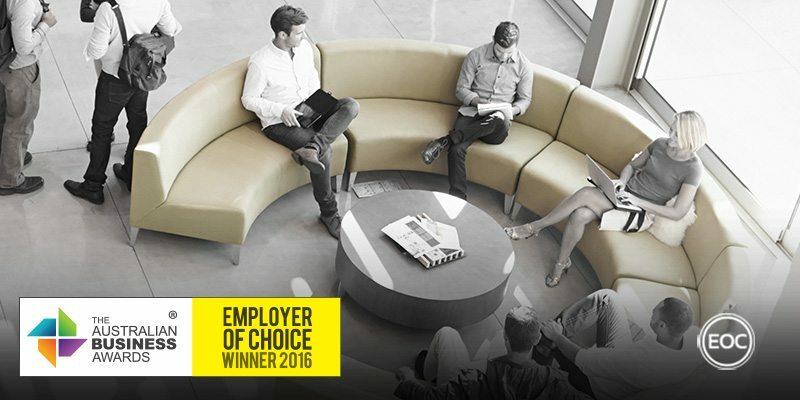 Swisse Wellness has been recognised as an Employer of Choice in The Australian Business Awards 2016. “We are absolutely delighted to be named an Employer of Choice. This is a huge honour for Swisse and a recognition of the unique culture we have which has attracted some of the best talent from all across the globe. People are at the forefront of everything we do, we fundamentally believe if you focus on people, principles and passion – profit will follow. Established in 1969, Swisse Wellness is an Australian provider of health and wellness products that strives to make the world happier and healthier. Employing more than 250 people, Swisse pursue a growth based strategy founded on their “4P’s” culture. All team members participate in this culture of ‘people, principles and passion before profit’ from day one of their journey with Swisse. This is achieved through the implementation of the company’s culture plan, which works alongside their business plan to help ensure that every team member is empowered and can actively contribute in a healthy and happy way. Swisse’s culture plan articulates initiatives that develop, support and engage their people through a leadership-culture-performance model based on human synergistics. As part of this model, performance is regularly and comprehensively tracked. Areas that are identified as lacking are addressed through multi-tiered professional development initiatives targeted at team development, middle management and senior leaders. Each target area services different types of professional development needs, from sales and product training for the wider team to business school training for senior leaders. This approach is designed to ensure that Swisse can foster appropriate skills across the board. Employees can track their development progress through their “My Plan” which clearly outlines their individual goals and targets. New starters, for example, have three-month probationary goals, whereas for all other team members these are annual goals that are revisited on a quarterly basis. Employees who demonstrate outstanding performance are rewarded with benefits that include gifts or tickets to experiences like AFL football finals or the Spring Racing Carnival. Financial rewards are also distributed via a formal bonus scheme. Swisse have made it their mission to promote health in the wider community through the provision of their products, but this also extends to their internal focus. The company budgets $1000 annually for each employee to undergo nutrition consultation and training, and provide an office café that specialises in healthy meals. This commitment to health and safety also includes anti-bullying and first-aid training.